A Waterford guide to exploring Edinburgh and Glasgow, Scotland, on a budget. Eight years ago, I decided to go on a holiday by myself for the first time. Out of all the places I could have gone, I decided to head to Glasgow - why? Well, I suppose it wasn’t too far away for a short break off work. The flights were for nothing - €40 return from Dublin to Glasgow Prestwick with Ryanair. Furthermore, and most importantly, I’ve always liked Scotland. The landscape, the accent and the culture. Not entirely unlike ours. So off I went, and the minute I tucked into a steak dinner and knocked back a shot of Scotland’s finest whiskey in Maggie May’s pub, I knew I had picked a good destination. For those who think that Glasgow is the poor relation of the capital Edinburgh, let me tell you that you are wrong. It is a friendly, vibrant and attractive city. The Hop on-Hop off bus tour is a must. Kelvingrove Museum is worth a visit for all those history buffs. Football fans will be spoiled with both Celtic Park and Ibrox stadiums. Furthermore, there is plenty of dining and shopping to keep you busy. I stayed at the Premier Inn in Charing Cross. This was the first time I stayed in the popular budget hotel chain. It wasn’t my last. A comfortable room, central location and helpful staff helped me to relax in the first hotel stay on my own. Just like Maggie May, I’ve got something to say to Glasgow - and it’s all good! Last year, I went back to Scotland for another short break, this time to Edinburgh. Another wonderful city, albeit more expensive as you can imagine, however a highlight for me was a trip to the zoo to see one of the only two giant pandas resident in the UK - a female by the name of Tian Tian. People of all ages will enjoy this. 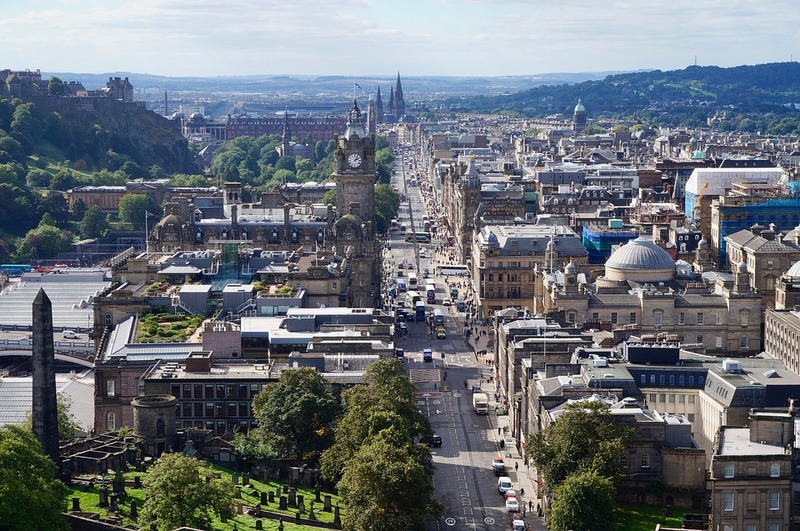 Princes Street, the main shopping thoroughfare, is a must for anyone looking for some serious retail therapy with stores such as M & S, Primark and Debenhams to name just a few. If you go in the summer, there are plenty of street stalls where you can buy ice-cream or other treats and sit out on a bench amongst the bustling crowds or in one of the well - kept recreational areas. Other points of interest are Edinburgh Castle, The Royal Mile, Botanic Gardens, Holyrood Park and National Museum of Scotland. I flew with Ryanair to Edinburgh Airport from Dublin for just €55 and I stayed in Falcon Crest Guest House which is very reasonable at roughly €30 per night (excluding breakfast) and is within walking distance of the city centre. Edinburgh really is a flower of Scotland. Visit Waterford Live for the latest in Waterford city, county and beyond.